Eclectic, original, 21st century electronic dance music ranging from House to Breakbeats to Drum n Bass. This double CD release represents 8 years of work in the studio compiled for the first time in one place. 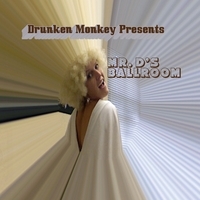 Drunken Monkey has been releasing underground dance music since his highly successful debut on San Francisco's seminal Sunburn Records in 2003. Since that time, his musical gems have appeared on numerous record labels including Hooj Toons, Ditrec, Eight Dimension, Garden House, Sleevin, and his own imprint, Splintered Tree Records. As usual, Drunken Monkey tracks always contain an element of the unpredictable and eccentric even as they hue to the conventional structures of the dance music genre overall. In a reflection of his tastes as a DJ his original music also spans many genres and sounds from song to song and gives the listener a complete cross-section of today's electronic dance floor landscape. In full effect are Breakbeat, House, 2-Step, and Drum & Bass approaches to making people shake their booties!